We are sad to report the death of our long-time neighbor, Larry Stowers, who died peacefully on April 6. He is survived by his loving wife of 39 years, Diana Devereux Stowers, and son, Gregory L. Stowers. Larry was born in Montgomery, WV, and graduated from and played football for DuPont High School (1957) and West Virginia Tech (1962). He received a Juris Doctor from University Baltimore Law School in 1971 and retired from Fannie Mae in 1995. He lived at his home on S Street for more than 45 years, dividing his time in retirement between Burleith and Naples, FL. Larry was a member of the Palisades-Georgetown Lions Club and an avid Redskins fan and season ticket holder for over 50 years. 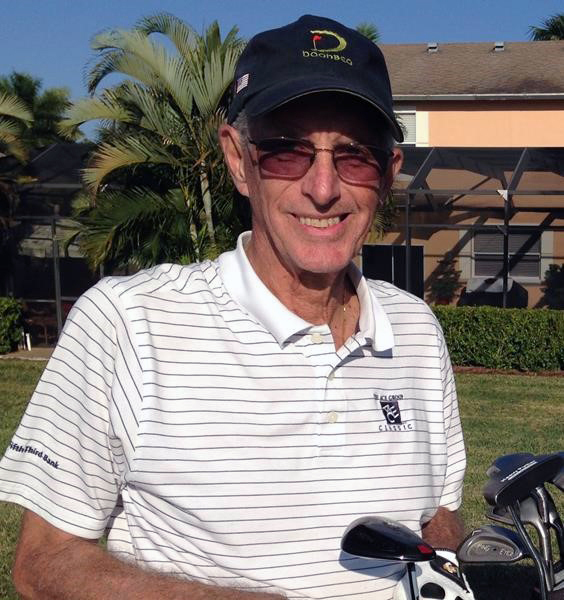 He loved food, wine, travel, golf, and volunteered annually for pro golf tournaments. Larry will be missed by his neighbors, for whom he always had a word of advice on the proper time to seed grass or how to park to protect side mirrors from passing cars.